Yesterday, whilst hiking the trail from Col des Montets to Station du Lac Blanc in Chamonix, I finally got the shot I’ve been after for around 3 years. I’ve been facinated with mountain Ibex since 2012 but I’ve never witnessed a fully grown male up close. After a whole day out on the mountain, I had seen plenty of Ibex in the distance but had resigned myself to the idea it would be another day where I wouldn’t get the shot I was after. 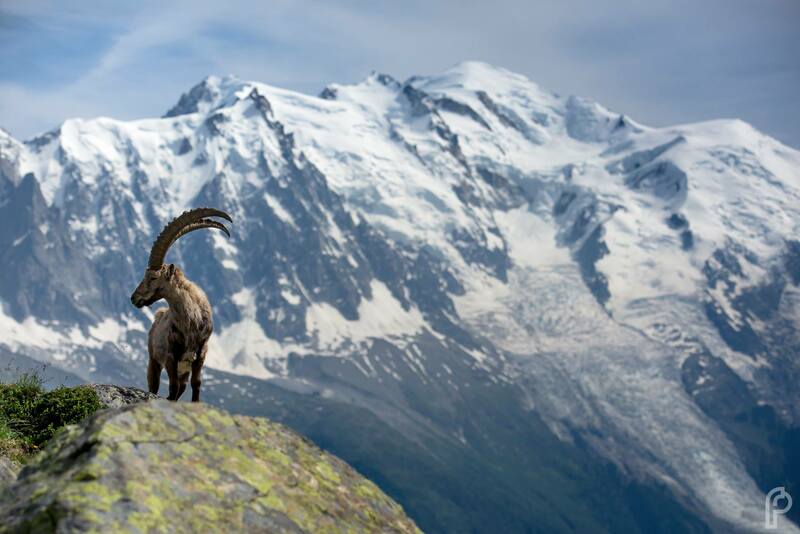 Then, out of no where, a huge male Ibex climbed up the mountainside next to me and stood proud on a rock with Mont Blanc in the background. It was a once in a lifetime shot and a real highlight of my photographic career to photograph the undoubted ‘King of the Alps’.